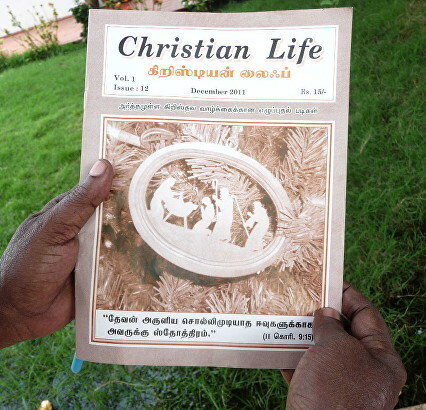 The Village Missionary Movement was started in 1996 in a village named Kokkalanchery near Virudhunagar in Tamilnadu. 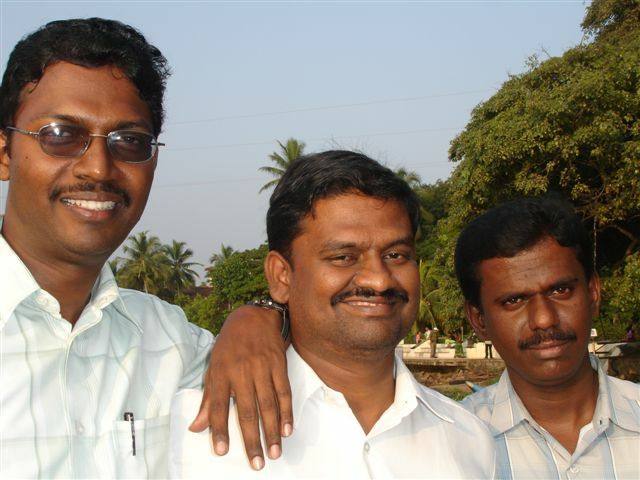 Brother David Ganesan (centre), the founder and director of this ministry, got the burden for this ministry in 1995 when he saw a vision in which Jesus Christ was weeping for the salvation of the people who lived in villages. Now the ministry is functioning as a team ministry. 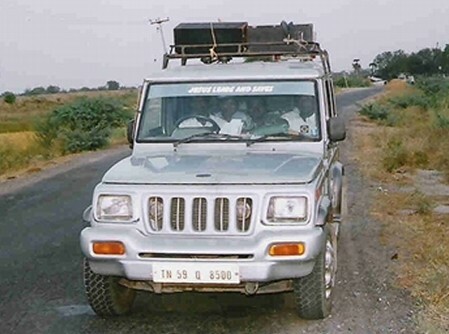 It is registered under Government norms and its president is Brother J Santhosh (left). 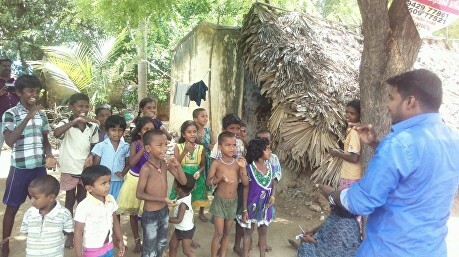 VMM missionaries regularly visit nearly 700 villages. Their vision is to preach the Gospel at least once in 1000 new villages every year. A key part of reaching new villages are the Phillip teams. They currently have two teams and AMEN has recently sent money out to set up a third team. VMM have youth and childrens’ ministry, a film show ministry, a village womens’ camp, hospital ministry, and education and social work ministries. VMM try to build good relationships with existing churches and help them in their growth. They also help reopen any closed Village Churches. VMM run conferences / camps for young people. This April they are holding a camp and hope to have 50,000 young people attend. VMM gather children together and talk to them about Jesus. Through this they also reach their parents. 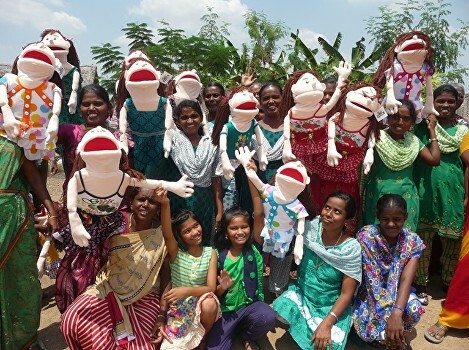 VMM Missionaries use puppets supplied through AMEN to bring the Gospel alive to young children. Many of these children have never seen a puppet before – it is very effective. AMEN have supplied over 50 puppets.